Dr. Jean-Louis LLombart is a physician and a writer, contributing to the magazine Jours de Chasse (“Hunting Days”). He is very well versed in big game hunting in Africa, with which he fell in love some twenty years ago. In his articles, he recounts in his elegant style his adventures on this vast continent where Nature reigns supreme and Animals, by their power and splendour, seem to require a capital A. Far from the usual clichés, this sensitive and lucid modern-day Nimrod is able to explain with rare precision the essence of this passion which mixes, inextricably and paroxysmally, the search for big game and the search for oneself. Dr. LLombart has agreed to answer our questions on this subject, for which we wish to thank him warmly. Vincent – When did you begin to acquire a taste for big game hunting in Africa, and why? What does this hunting represent, for you? Jean-Louis Llombart – After long years studying medicine, I was quick to pass the test of the first session of the Hunting Licence Examination in 1978 and my first hunting season was that very year. For me, it was then only a question of small game on Sunday mornings. After a few seasons, I realised that there was practically no more natural small game and, disappointed, I hung up my rifle while dreaming of the big game of the hunting catalogues marketed by the National Forestry Office. A few years later, I was invited with some colleagues to a pheasant hunt that was as artificial as it was organised, but the virus caught hold of me once again. I then tried large game, fallow deer, mouflons, Pyrenean chamois and deer, but it soon became evident to me that Africa and its mysteries had taken possession of my hunting soul. To tell the truth, that was the moment when I retook possession of Africa. I was born in Algeria and I had preserved in the depths of my being the hunting tales that my mother and my grandfathers had recounted to me. I now felt it was essential to live out these emotions once again. The very mention of Africa excited my imagination. Something deep within me vibrated and resonated with the rediscovery of these roots that had never been forgotten, these sublimated feelings and this part of myself of which I had until then had no inkling. Big game hunting in Africa took up such an important part of my life that it became essential to me. I was possessed by the idea of the big five, but also the undergrowth, the forests, the deep, simple humanity of the men, the beauty of the women, the splendour of the landscapes and this unshakable feeling of total liberty. Only in Africa have I experienced so intensely this delirium produced by the impression of being able to dominate and control everything and, at the same time, perceive so lucidly my weaknesses and my insignificance in this world that is so hostile and different from my everyday life. When I was hunting in Africa, submerged by a paroxysm of emotions, I experienced the most intense spiritual joys alongside the most deranged illusions. V. – How often have you gone hunting in Africa, and in which countries most of all? J.L.L. – I have made fifteen or more hunting expeditions in Africa. My first stay was in Namibia in 1997. This country is often considered to be the entry point for big game hunting in Africa but when I returned I felt it did not quite ring true. After that, I went to West Africa. Burkina was a revelation for me. It was the Africa of my dreams, that of adventurers, of the Marchand expedition (Fachoda), of Foa, but also of Jules Gérard (the lion hunter) of my native Algeria. I went to Burkina for three consecutive stays with a friend of that time with whom I shared moments of exceptional intensity. I shot my lion honourably, standing up at a distance of 20 yards. I had to go and find him in the long grass where he had taken refuge. He was dead: the first bullet had done the trick. I have also been to South Africa, to Uganda, twice to Benin, twice to the Central African Republic and I have also visited Cameroon six times: four trips to the savannah and two to the forest. There can be no doubt that it is one of the most attractive big game hunting countries in West Africa. In my opinion, people who know only elephant hunting in the tropical forest have only a partial vision of the reality of big game hunting because, as with hunting in the mountains, you cannot cheat. V. – What is your reply to people who consider it is wrong to kill, for example, a lion or an elephant? J.L.L. 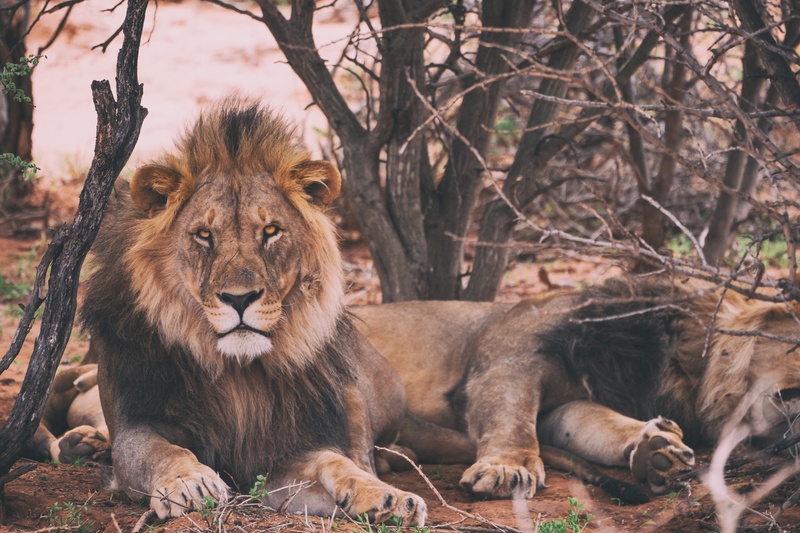 – Without entering into the ecological debate, those who consider it is wrong to kill an elephant or a lion are not true hunters, otherwise they would ask how to do it. 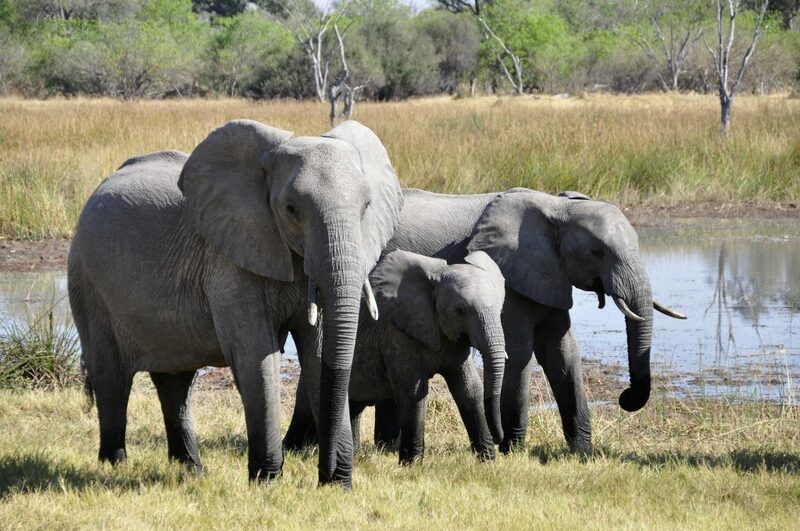 Elephants and lions are certainly part of big game hunting – indeed, they are peaks of the art of hunting. Poaching and population growth are responsible for the growing scarcity of these animals, but this is another debate…. V. – I know you particularly like stalking: could you tell us why? J.L.L. – For me, stalking is the essence of big game hunting. Of course, I respect all forms of hunting but, for me, outside Africa, I have experienced the greatest hunting emotions when hunting alone with my dog at my heel, stalking fallow deer. V. – Could you recount for our readers one or two hunting stories that particularly impressed you on this continent? J.L.L. 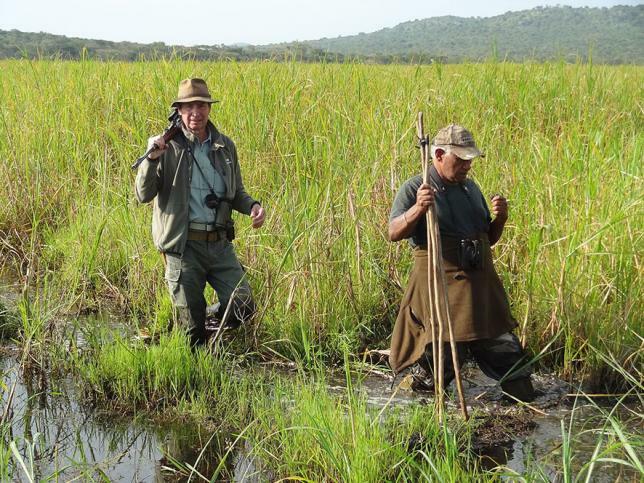 – Without a doubt, these have been tracking and hunting lions and hunting forest elephants. During my three stays in Burkina, two were devoted to tracking lions. In a hunter’s head, there is so much tension over the miles of tracking and the hours of walking that sometimes the pressure is unbearable. But then there is such an explosion of joy when the lion is there, lying on his side on the ground in front of you! An intense joy overcomes you yet, at the same time, as always in Africa where one is struck by the extremes, fear invades you when you see those enormous paws, the jaws and the claws when you consider all that power that could have pounced on you! Then you are filled with pride. I shot two elephants in the savannah and a third one in the forest. Sunk in the endless shadows of the dark cathedral that is the great forest, following the pygmies for days, the difficulties and doubts engendered by the tracking are multiplied ten times by this kind of real partial blindness produced by being closed in by the vegetation that you wish you could slash apart with your machete so that you could at last see a little further than the tip of your nose. Then, when at last the elephant is there, lying on its side, you feel such glory and power that, for you, tomorrow will be the morning of a new world. … and share your own hunting memories and thoughts with us!